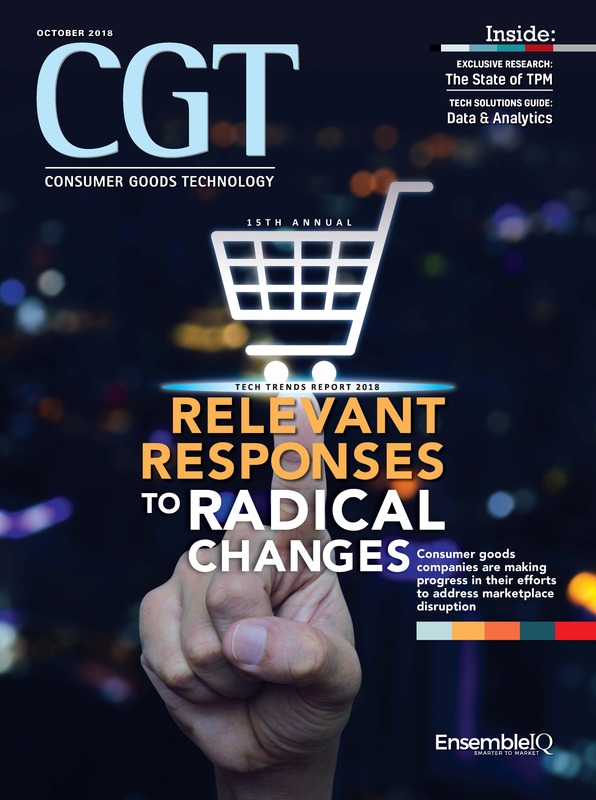 CGT provides actionable insights on relevant best practices, solutions and services that empower consumer goods leaders at the intersection of business and technology. CGT keeps industry executives on the cutting edge of what is possible by using real-world examples across business processes from supply chain to sales and marketing to innovation and more. What channels do you sell through? Complimentary subscriptions are available to US qualified individuals. Incomplete forms will not be processed or acknowledged. The publisher reserves the right to determine subscription eligibility. Please allow 4-6 weeks to receive your first issue. By submitting this form, you agree to allow EnsembleIQ to send you communications via email. You can unsubscribe at any time by visiting our preference page which is linked in the footer of all our communications.